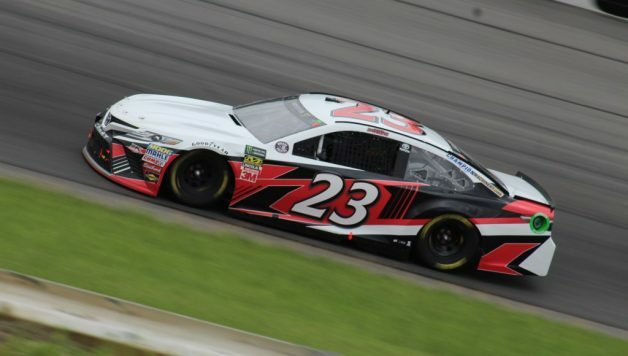 For weeks, it appeared GMS Racing was the frontrunner to acquire the assets of bankrupt BK Racing, but Front Row Motorsports won the bidding on Tuesday with a bid of $2,080,000. The sale is not yet official, though. The judge in the U.S. Bankruptcy Court must approve the transaction, and the decision is expected to occur on Thursday. The judge may allow potential bidders two days to put together an offer. Should the judge approve Front Row’s acquisition, the Ford team would own four charters. The organization currently uses two of them for the No. 34 and No. 38 cars in the NASCAR Cup Series. TriStar Motorsports is using its third charter for the No. 72 car in a one-year lease agreement. ESPN reported that Xfinity Series team Obaika Racing, which hasn’t competed in NASCAR since March 2017, would obtain $265,000 worth of BK assets. Rick Ware Racing would also get a tractor for $35,000. Earlier this summer, Smith said there were 29 parties interested in the team and its assets. 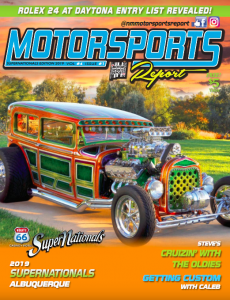 GMS president Mike Beam placed a $1.8 million bid last month. That offer was the “stalking horse bid,” meaning it was the initial and minimum bid to acquire the bankrupt company. 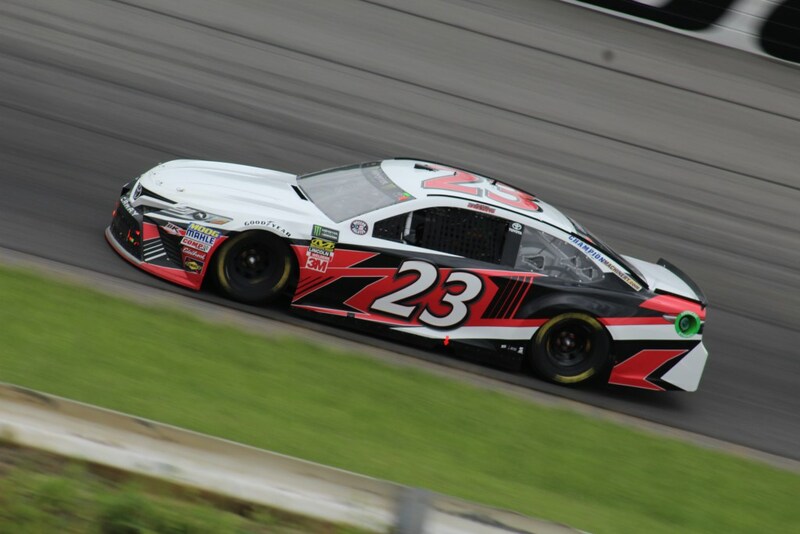 Two and a half weeks ago, Spencer Gallagher, who drives for GMS in the Xfinity Series and is the son of team owner Maurice Gallagher, made his Cup debut with BK Racing. He drove the No. 23 Toyota, which was sponsored by Allegiant Air. Maurice Gallagher is the CEO and chairman of the company. At the time, it seemed GMS was poised to win the auction. Financially speaking, Front Row’s interest in BK’s assets was unclear, and Ron Devine, BK’s former owner, wanted to reacquire the organization as a co-owner of another company. 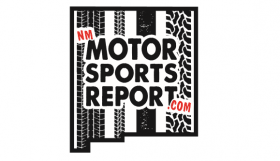 Had GMS won the auction, Spencer Gallagher told the New Mexico Motorsports Report that he’d be the full-time driver of the No. 23 car. Beam also told ESPN he’d create a GMS-affiliated team to compete in the Cup Series. For now, it appears Gallagher’s full-time ride in the Cup Series will have to wait while GMS continues to establish itself as a competitive team in the Xfinity Series. In February, BK Racing filed for Chapter 11 bankruptcy, and Smith was put in charge of the team. Aside from Gallagher’s one start at Watkins Glen International earlier this month, the No. 23 has been driven by Gray Gaulding, J.J. Yeley, and Blake Jones.